The month of September was full of tape. 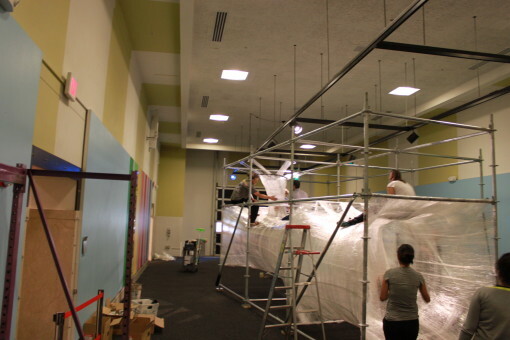 Our newest exhibit, TapeScape was under construction. 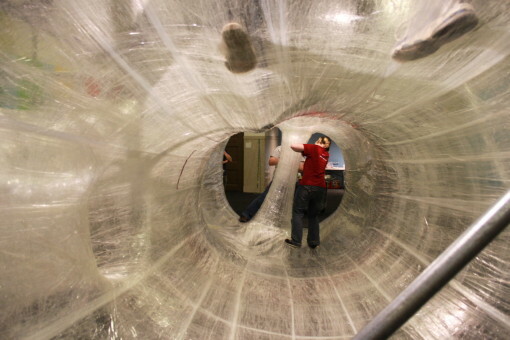 The structure is made out of a lot of packing tape. You’d be surprised how sturdy the material actually is. It was able to support several grown exhibit technicians at one time. The exhibit is part climbing structure, part art piece. It is a sight to see. MAKESHOP got into the spirit of tape during this month as well. 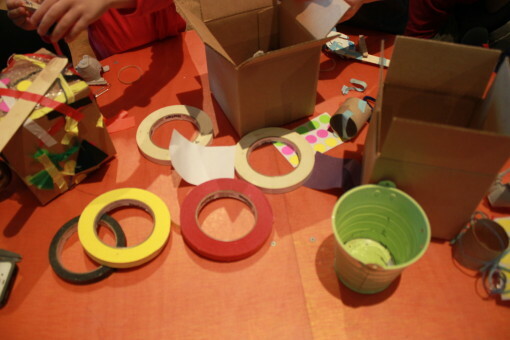 Our early childhood program, Tot MAKE, had several activities with tape as the focus. 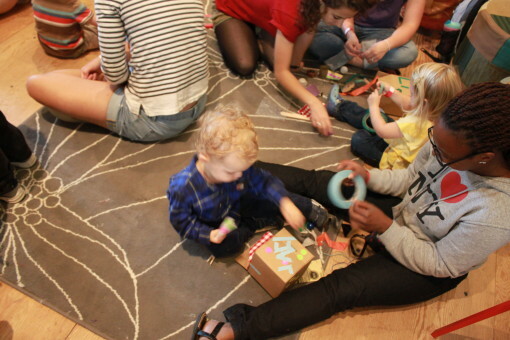 I gave a lot of little kids the opportunity to explore and play with tape. They did not always make something with the materials but that is okay, Tot MAKE is more about exploration than anything else. 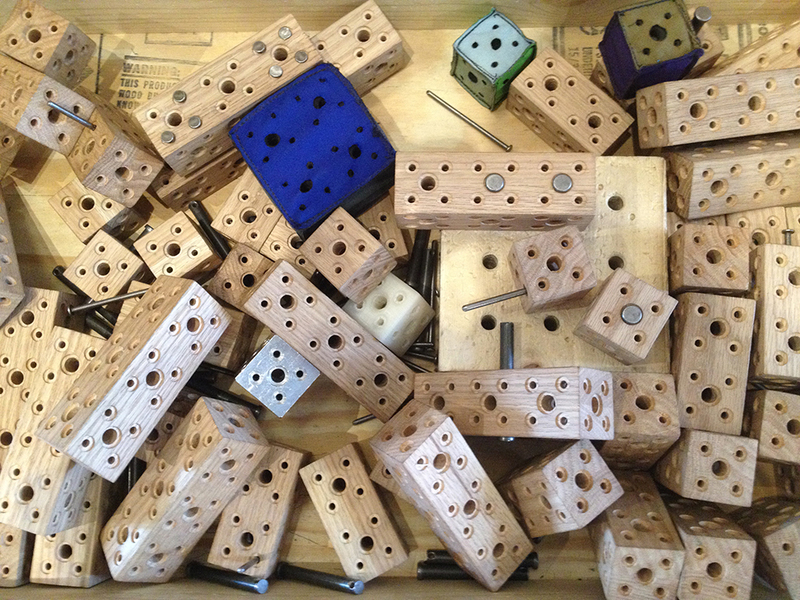 What can you discover about a material or a tool? Tape has a lot of interesting properties to explore. 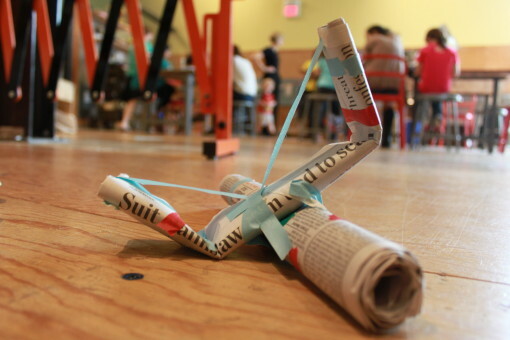 Tape is a regular fixture of MAKESHOP and the Museum. I think that TapeScape will fit in just fine. It also gives me the opportunity and excuse to use tape everyday with our visitors. TapeScape will be open every day, 11am-4pm, until January 19, 2014.